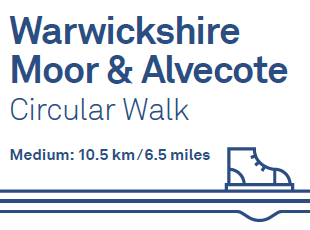 An easy circular walk through Warwickshire Moor Local Nature Reserve and Alvecote Pools along footpaths, bridleways and tracks. 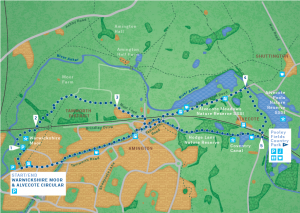 Landscape and path type: The route uses surfaced footpaths and bridleways, muddy tracks, hills and steep inclines, tarmacked pavements and roads. There are slopes and kissing gates during this walk. Sturdy footwear is recommended.